Despite huge encouragement by the government, the electric car sector is growing only slowly. It is increasing its market share but is dragging its feet somewhat. While this was understandable at the beginning, with the technology still in its infancy, the speed with which the electric car sector has grown in sophistication and reliability is remarkable. There are now a number of sparkling options out there for those brave enough to take the leap. Leading the pack is the Tesla, all the more notable for the lack of a major manufacturer badge on its nose. 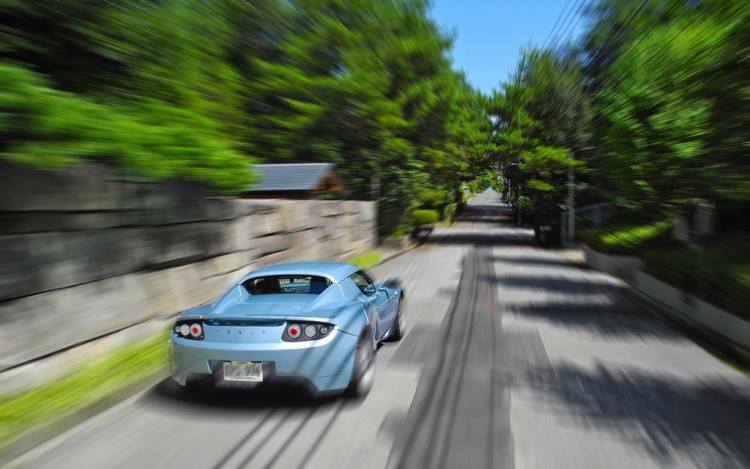 Taking a lot from the Lotus Elise, the Tesla Roadster does a very good job of feeling and looking like a normal car rather than screaming 'clean and green.' If performance is a concern for those thinking of going electric, be concerned no longer, for the Tesla is a nifty little machine and an ideal introduction to the sector for sceptics. Renault-Nissan is pretty gung ho for electric and seems determined to bring the technology to the mainstream. The Leaf is practical and a pleasurable enough drive to be compared to any other hatchback in its class, without highlighting its electric status in bold. Take a look, too, at the Renault Zoe, a very good looking entrant into its class. Not quite in the public consciousness yet, Mini has some work to do on the E before it's going to show how well electric can work for the masses - for a start the rear seats have been removed to house the batteries. However, it's a cheeky little performer with great future potential. Part of a badge engineered trio with Peugeot and Citroen, the I-MIEV is clever and very usable. A 100 mile range helps to make it an ideal little city car and a very practical and economical urban runaround. It barely counts as a car but the strange but funky Twizy has quite a lot going for it - in the right circumstances. While it's tempting to dismiss it upon sight, the Twizy is good fun and very cheap, and if you only need to run yourself around the city without worrying about carrying cargo and passengers, then it could be perfect for you. Leading the pack in terms of practicality, the i3 is the one that has the potential to revolutionise the electric car sector for the mainstream. A 100 mile plus range and BMW build quality are narrowing the gap between standard and electric cars.